The arrest of Nissan chairman Carlos Ghosn amid a financial probe prompted by a whistleblower caused the automaker's shares to tumble Tuesday and left many in Japan and elsewhere stunned by his downfall. Prosecutors said they were holding Ghosn for allegedly collaborating to falsify securities statements and underreport Ghosn's income. A second Nissan executive, Greg Kelly, was also suspected of collaborating with him to underreport some $44.6-million in Ghosn's income from 2011-2015. "It's extremely regrettable," Chief Cabinet Secretary Yoshihide Suga told reporters. "We will watch developments closely." 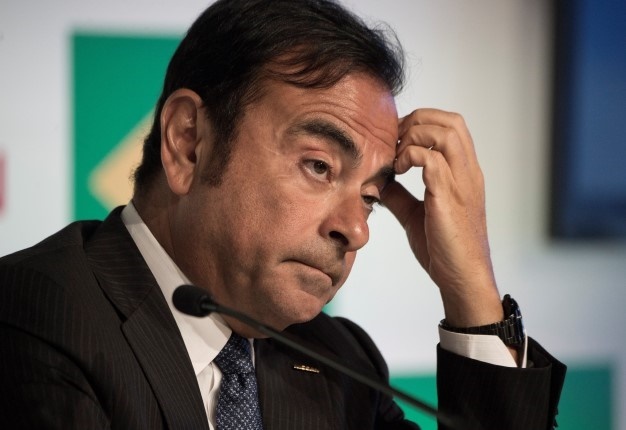 The scandal abruptly threw into question Ghosn's future as leader of the Renault-Nissan-Mitsubishi alliance, which sold 10.6-million cars last year, more than any other manufacturer. Ghosn was arrested Monday and Nissan's CEO Hiroto Saikawa said the company's board will meet on Thursday to approve his dismissal. Prosecutors refused to say where he was being held in Tokyo. There was no word from Ghosn himself. Investigators reportedly waited at Tokyo's Haneda airport for his arrival on a private jet returning from overseas and arrested him after questioning. Japanese media avidly detailed allegations against Ghosn as prosecutors stepped up their investigation. The national broadcaster NHK said investigators suspect Ghosn, who was in charge of allocating pay for Nissan's 13 top executives, siphoned off part of that remuneration. Reports said Ghosn also is suspected of misusing company funds on his company-issued housing for personal use in Lebanon, Paris, Amsterdam and Rio de Janeiro, where his apartment is on the wealthy Copa Cabana beach strip. Ghosn is suspected of not paying his full share of the rent on the housing which Nissan spent several billion yen (several hundred million dollars) to buy and renovate for Ghosn's use, NHK said. The Brazilian-born executive became one of the auto industry's most powerful executives by engineering a turnaround at Nissan over two decades. He championed bringing electric and autonomous cars to the masses, overcoming resistance within Nissan and Renault and betting early on that emissions crackdowns eventually would put gasoline and diesel cars out of reach. Ghosn immediately commanded attention upon entering a room and is a towering figure in France, where Renault is one of the heavyweight industrial survivors. He has met repeatedly with the past four French presidents; no major economic event in France was held without Ghosn. In Beirut, where Ghosn's Lebanese heritage is a source of pride, Foreign Minister Gibran Bassil issued a statement saying he had instructed the Lebanese ambassador in Tokyo to follow the case and ensure he gets fair treatment. Ghosn represents "a model of Lebanese success abroad and the Lebanese foreign ministry will stand by him in his crisis to make sure he gets a fair trial," Bassil said. But in Japan, where top foreign executive are scarce and even the biggest bigwigs tend to keep a low profile, his status was ambivalent. In a 90-minute news conference late Monday night, Nissan's Saikawa said power in the company had been too concentrated in Ghosn and the company was overdue for some change. Ghosn officially still leads the Renault-Nissan-Mitsubishi alliance as CEO and chairman. But experts said it's unlikely he will be able to stay on there or at Renault, where he is still CEO. Renault said its board will hold an emergency meeting soon and would only act after hearing from Ghosn himself. Companies in the alliance own parts of each other and share investments in new technologies, among other things. Renault owns 43 percent of Nissan, which owns 15% of Renault and 34% of Mitsubishi. A press release from prosecutors said Ghosn and Kelly allegedly collaborated to underreport Ghosn's income as ($44-million) when it actually was almost ($88-million), submitting falsified securities statements to the regional finance bureau. The compensation from Nissan, generous by Japanese standards, was only a part of Ghosn's overall income since he also was paid salaries by the automaker's alliance partners Renault SA and Mitsubishi Motor Corp.
Nissan's shares fell 5 percent in Tokyo trading on Tuesday. Shares in Renault plunged 8.4% in Paris on Monday. A next step by prosecutors was expected soon. Police can hold suspects without charge for days, but prosecutors have only 48 hours to decide whether to press charges. If they decide they need more time, they can hold a suspect for up to 20 more days. The allegations are a serious blow at a time when Nissan and its alliance partner Mitsubishi are still recovering from scandals over altered results for emissions and fuel economy tests on vehicles sold in Japan. Ghosn signed a contract this year that would have run through 2022. Of French, Brazilian and Lebanese background, he lives in both Japan and France, where he earlier turned Renault around, making it a global player. Nissan has provided only limited details about the case against Ghosn, which resulted from a months' long investigation prompted by a whistleblower. Apologizing repeatedly, Nissan CEO Saikawa vowed to improve the company's governance but provided only limited details about the case, saying he was constrained because of the criminal investigation underway. "Beyond being sorry I feel great disappointment, frustration, despair, indignation and resentment," Saikawa said.